I liked this idea from the start. We referenced a few of her favorite sushi rolls, and looked for the tastiest one. 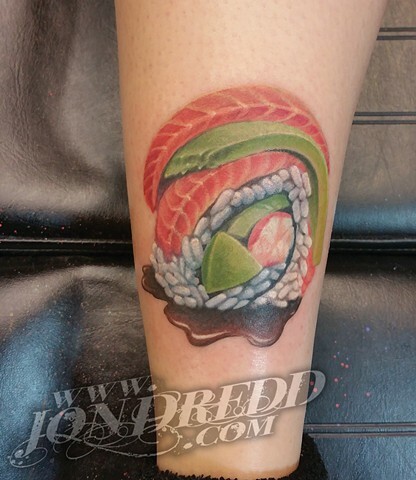 This is the tattoo that resulted from many hours of research eating our favorite sushi.